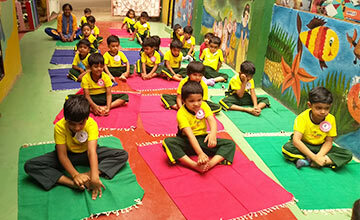 Visishta is a unique preschool based on the belief that every child is unique and blessed with unique, distinguished potential. We at Visistha aims to create the right environment for our every child, with a clear understanding that, children should bloom into responsible citizens with reverence to our rich and varied heritage. 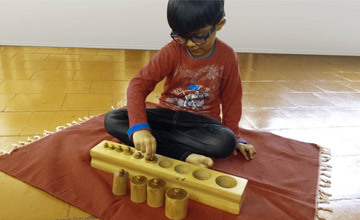 Balanced Combination of Kindergarten, Montessori and Gurukulam. We teach children, how to think and not what to think. A child-centered educational approach based on scientific observations of children. we teach to keep body mind and soul to be fit, be alert and focused. Run by – Well educated, highly placed academicians and professionals. Curriculum designed by the pioneers in academics with over 40 years of enriching experience. Consistent 9.75 rating on a scale of 10 by parents based on 15 points parameters adopted from education world. Spacious class rooms with child friendly furniture and play materials. Individual and consistent assessment approach. Experiential Learning, Concept based periodic field trips. 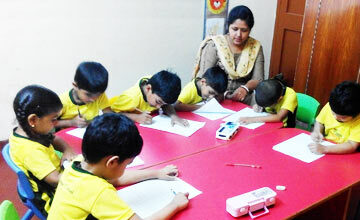 Safe and secured child-friendly environment, Concept-based teaching. Unique curriculum and unique assessments based on various aspects of growth and development of a child. Focus on Holistic Development based on innate talents of children. Best Students Teacher Assistant Ratio 10:1:1. Workshops and Health camps for the benefit of children and parents.